Ducati has teamed up with Hollywood funnyman Jim Carrey in his new movie "Yes Man" where he rides a Hypermotard S.
The movie stars Jim Carrey as Carl Allen, a man whose life is going nowhere - the operative word being "no"- until he signs up for a self-help program based on one simple covenant: say yes to everything and anything. Unleashing the power of "YES" begins to transform Carl’s life in amazing and unexpected ways. With no previous riding experience, Carl takes to the streets on the powerful Ducati, holding on for dear life in a wild, hilarious ride through Los Angeles. Michael Lock, boss of Ducati North America said: "We are proud to showcase our brand in such an entertaining film". 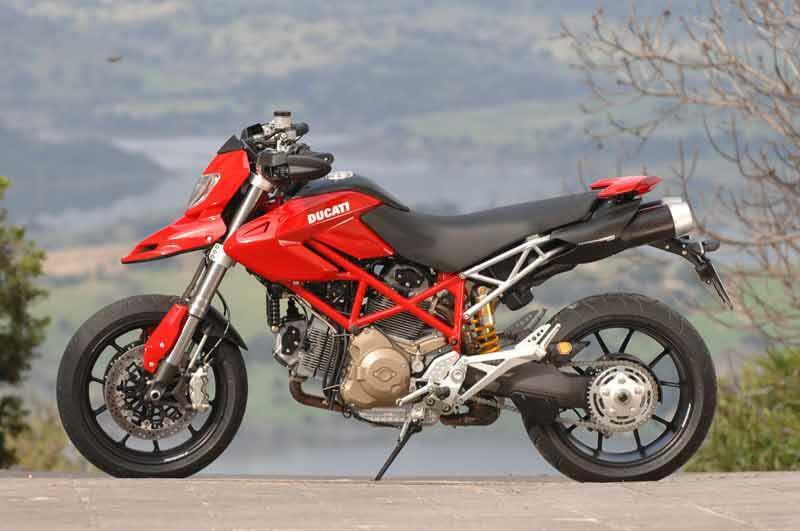 "The Hypermotard S was a natural fit for such a fun movie and the scenes with the bike bring the excitement and liveliness of the Hypermotard to the screen."